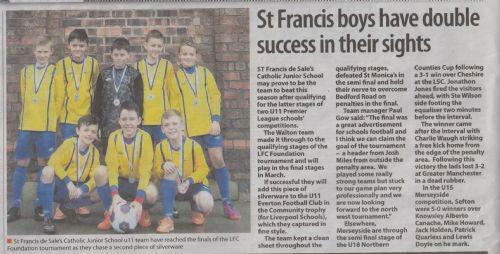 The boys' football team have enjoyed success in not one, but TWO recent tournaments. By winning the qualifying tournaments of both Liverpool's and Everton's Premier League Schools' competitions, they have given themselves a great opportunity to win the regional finals in March, and possibly play at White Hart Lane! Good luck boys, the whole school is behind you!